Click the button below to add the Acne Clear Body Soap #Soaps# to your wish list. Can soap change your life? Many acne soaps and cleansers are made from harsh chemicals like tar, sulfur or salicylic acid. Is it possible that the reason that you get breakouts and never have clear skin is due to the harsh chemicals in the acne products that you use? 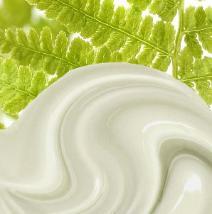 Maybe your skin needs an opportunity to heal itself and restore its natural balance. This soap gently cleanses while maintaining your skin’s moisture level. The result is skin that feels soft smooth and looks blemish-free. Imagine a soap made with the best ingredients like Avocado and Kukui with luscious Shea that gently nourishes while anti-bacterial Tea Tree and Manuka help keep your skin fresh clean and clear. Nothing else has helped with my body acne and I didn't expect this to work, but it did. I have very oily skin and have tried numerous products. This is by far the best! My skin has improved and continues to become noticeably better. I use this every other day and it out really does an excellent job of keeping any acne at bay. This has no fragrance and lathers nicely. Gently cleanses leaving skin oil free while removing dirt and debris from your pores. Soothes red, inflamed or itchy skin, and helps protect sensitive, blemish-prone skin. I get bad breakouts on my neck and back. I used this product once a day and after the first two or three days my skin had an increase in breakouts BUT after about a week with the product my skin is much clearer. I absolutely love this and it’s the only soap that works for me. The ingredients are simple and natural with no harsh acne chemicals! As soon as I rinse this off my face it feels so clean. Soap is one of the least expensive and best methods of managing acne that I have come across. When I first starting using this acne soap, I washed my face once a day and that was my whole regimen. Now I only wash with the soap once every other day to maintain clear skin. This smells clean...like no smell at all. This soap lasts for 3 months or longer depending on your use. Our body soaps are formulated to gently cleanse your skin, leaving it oil-free and moisturized while removing dirt and debris from your pores. Antibacterial and anti-inflammatory ingredients made by nature. Clear body soap made fresh in the USA. No Alcohol, No Benzoyl Peroxide, No Salicylic Acid, No Artificial Fragrance. 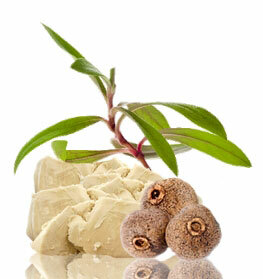 Soothes red, inflamed or itchy skin and helps protect breakouts and pimples on sensitive, pimple prone skin. Shea butter contains moisturizing properties that nutritively soften and hydrate skin to prevent dryness, reduce inflammation and smooth. Manuka Essential Oil battles bacteria thanks to its antibacterial and anti-inflammatory properties. Avocado Fruit Oil removes dead cells while leaving a moisturized feel and look. Coconut Oil contains Vitamins A, E, and D, and Calcium and has antibacterial properties to leave skin clean and blemish free. Palm Kernel Oil can remove dirt, oil, and residue left on the skin and restores the natural oils produced by skin. Tea Tree Oil has antifungal and antimicrobial properties that help clean out the pores to unblock sebaceous glands. If hair is in the way, you may use a hair-tie or clip to place it in a bun or ponytail. Make sure to wet your face with warm water. Rub the soap on clean hands and then use your hands to gently massage your face in gentle circular motions for approximately 30 seconds. Rinse the soap off completely with warm water. Dry your face by patting gently, not rubbing. Wet body with lukewarm water. Massage the bar soap on wet skin in gentle circular strokes. Rinse off completely with lukewarm water. • Use this body soap on the area where blemishes are. • Moisturize the skin with our Rough and Bumpy Lotion for the body or our Clear Facial Day Cream for the face. • Shower with lukewarm water to prevent your skin from drying out. Persea Americana (Avocado) Oil, Aleurites Moluccanus (Kukui Nut) Oil, Cocos Nucifera (Coconut) Oil, Elaeis Guineensis (Palm) Kernel Oil, Smilax Ornata (Sarsaparilla Root) Extract, Butyrospermum Parkii (Shea Butter), Melaleuca alternifolia (Tea Tree) Oil, Leptospermum Scoparium (Manuka) Oil, Pelargonium Graveolens (Geranium)Oil, Saponified. I love your products. I got my daughter and myself the blemishes soaps, creams and toner. I LOVE it! My daughter had horrible horrible blemishes and of course we tried what the Dermetologist suggested which was a chemical product. NO NO NO.. your products started working in 2 days. We are seeing improvements each and everyday. I see the difference in her attitude about herself. Thank you. Only God! The hair products are just as good. I wish I could try them all. I will be trying some hair products for my son, daughters and husband. I have already recommended you to a friend. We both were using another product which was not 100% nutritive. Thank you. I am looking forward to more of your products. Thank yoou God! I started taking Accutane at 25. I never want to use it again. The oil in my skin was starting to come back and I was terrified that the breakouts could come back with it. I started to use this natural clear body soap and after three days my skin normalized by itself. I have been using this soap for fifteen days now and the results are impressive. No breakouts and no greasy skin. This body soap was more powerful that Accutane and without any side effects. I don’t like medication. I found this clear body soap in a magazine and the article was talking about the benefits of getting away from harsh chemicals. I have been using this soap for six months now and have been breakouts free since. Just like the magazine said, chemicals that are harsh may cause my skin to break out more often. I've been using this soap, along with the anti-bacterial treatment, for about 3 weeks and I've seen drastic results. I've got severe pimples and have been on the search for a good cleanser/soap/body wash since most were aggravating my skin. Everything I tried dried my skin out, caused peeling and more pimples and breakouts, and the summer time cause made my skin worse. This soap has significantly reduced my breakouts without over drying my skin. I can't believe how clear this stuff makes my face. I feel it is killing the bacteria because I had pimples that would not go away on my back and forehead and this stuff is killing them quickly. This has been a great soap with all natural ingredients. It does reduce the pimples drastically from ny back, shoulders and arms. I am using this soap for one week consistently. It does not dry the skin and is naturally moisturizing. Overall a great product. Can't wait to see more results in a few more weeks. I can't say enough about this soap, thank you Justnatural and nutritive products for making high quality products. I have never had any issues with my skin. I am almost 35 years old now and for the last few months, I have been dealing with back pimples and lots of bumps/pimples on my chin. My skin looks so irritated and redness. This clear soap is a great product. I use this for one week and it helps clear up my breakouts and redness faster. It can be a little drying but I supplement with the body lotion twice daily to combat the dryness. Feels amazing using natural products with not harsh chemical, this soap is working without any side effect!! I never write a review before but I thought I'd want to pass my experience to hopefully help some of you guys out there still struggling with body pimples. My back, chest and facial pimples resisted all attempts to rid it of pimples and breakouts. I tried accutane and was too harsh and I ended up sunburnt all the time so I gave up. I tried some others expensive topicals that did virtually nothing; I'd given up hope and resigned myself to a life of with-pimples- Two months ago I read about using natural/alternative products on your face and body can be the ultimate cure so I thought I'd give it a try. These products are AMAZING!! I just need a soap to clear my skin. Only a soap!! If you've made it this far through this long review, I'd like to say please give it a try and listen to the call of nature and I wish you all the best in your fight with breakouts. WHERE HAS THIS WEBSITE been all my life? I have tried everything, even proactive but nothing has given the result this has! I did not think that something nutritive could work until now…wow. Thanks for answering all my questions and being so caring get a lot of customers! My daughter has breakouts and this soap has been a god sent help! It’s about time we go back to nature and nutritive products! My daughter’s breakouts has been on-going for about four years. We’ve been to specialists and she’s been on a never ending list of soaps, cleansers, conditioners, and prescription drugs, twice on an accutane program and Retin A. She has been using your soap for a little over a week and this is the most improvement ever!! I hope you intend to market your products everywhere so everyone can experience it’ s nutritive curing way. Keep up the great work! This soap is awesome! I bought in hopes that it would help to clear up the skin on my shoulders, chest and neck. It more than delivered! My skin feels so clean after I use it but it doesn't dry my skin too much. I also use the Skin Calming Lotion and I love the results. My skin had cleared up in the areas I originally bought the soap to address, as well as help alleviate the itching I have been experiencing on my legs due to dry skin. I'll be buying more in the future and will recommend it to people with similar issues. This is the ONLY acne product I will use on my body. Amazing natural ingredients that work. Now when I first bought this product I hated the smell. Over time I enjoyed it and looked forward to applying it to my body. Two years later and my skin is clear and under control. Our teenage daughter had suffered from acne and we did not want to put her on any medication or products similar to Proactiv. After research we decided to try Just Nutritive. After a few months of daily use, she has never been so happy. Her skin is vibrant and clear which as a parent makes you feel wonderful. I wish I could have gotten this product at my local grocery store because the shipping is expensive when considering the product cost $15.99 Now after 1 month of continuous use I will say I cannot remember having a breakout. My skin feels nice and smooth from all the essential oils and extracts. If my skin still feels this soft and looks this good when I am done using the bar I will consider making another purchase. I’ve been a customer of Just Nutritive for the last 3 years and this clear body soap has worked wonderfully for me and my family. My son, unfortunately, got bad acne from me and this has cured us both. We use it every other day and both are breakouts have decreased so much. Our skin looks clearer and feels smooth. Nice product. I have noticed that the natural products really help a lot better with my severe acne. This bar really does not have any smell which is nice. My skin has not felt as dry compared to using other chemical products. Will buy again. This soap has been the most amazing discovery I've made. This soap does not tug on my skin or dry it out. I have used it twice a day for a week and my skin has become softer, smoother and crystal clear. I love it! Can't get enough of this soap. Its great on my dry sensitive skin and give off lots of lather. Recommend to friends with acne prone skin. Awesome product! I use it every day and it balances, cleanses, and clears my skin up. I've had some pretty severe acne on my back and chest for the longest time and this has been the only product to help clear my skin up. I usually use liquid face and body washes as bar soaps dry my skin out. I love that this soap is not drying my skin at all. My skin healed faster than it has with any other acne product.